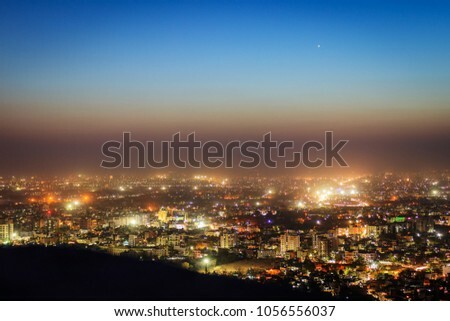 For those, who love to hang out in the evening after a tiring day of work in the office, Hyderabad is perfect. It is a great place to beat the crowding traffic and set out for some fun in the evening. 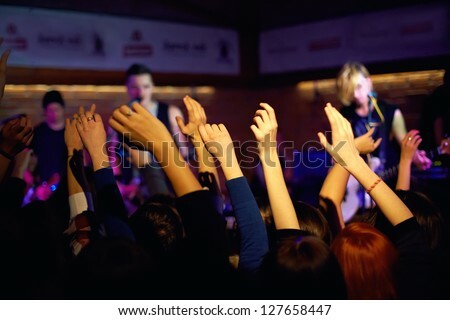 So, whether you consider yourself to be a proper party person or you just want to spend some quality time in the evening with your buddies, Hyderabad is always here to cater to your needs. From joints that serve delicious food to party spots that would give you a good time with booze and music, we have it all covered for you. Enjoy your evening in Hyderabad with the best places to visit around the city. As we promised, here are some of the amazing places to visit in Hyderabad in evening. 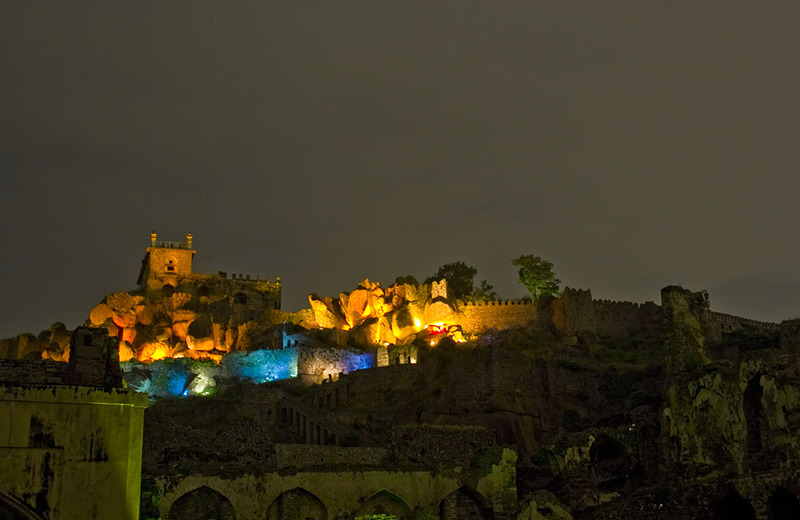 While you are roaming around the city looking for awesome things to do, you might want to set foot inside Golconda Fort. The place has an amazing light and sound show every evening for viewers to enjoy. What’s even better is that the narration is by none other than Amitabh Bachchan. Now that is what we call a show for sure. Narrating the glorious past of the fort, this show is a must-watch. Not only will you gain interesting information, but you will also be entertained in the best way. 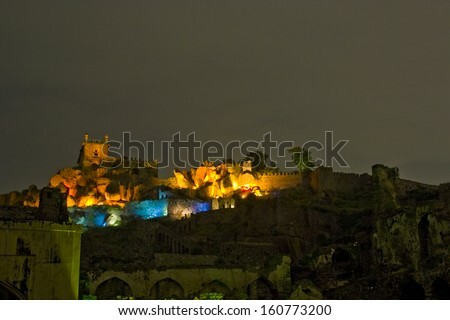 Another one of the locations where you will get the best sound and light shows is the Warangal Fort. You will get to know a lot about the Kakatiya Dynasty here. 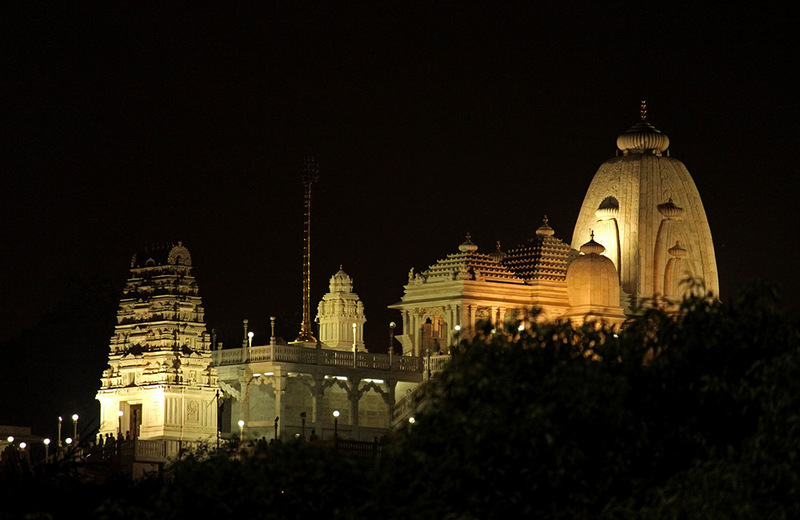 Situated atop the Kalapahad hillock at a height of about 280 feet, Birla Mandir is one of the must-visit places in the evening. Constructed in the year 1976, this shrine boasts a beautiful white marble exterior and a serene atmosphere that most of us would enjoy. Go anytime in the evening to witness the aarti for a wonderful and peaceful time here. The Nizami influence that Hyderabad has is the secret behind the distinguished architecture of the Moula Ali Hill dargah. However, such a beautiful piece will not do justice to your eyes if you see it from the ground. So, what can be done in that case? Well, you could always climb all the way to the top and enjoy the view of the amazing landscape that Hyderabad has. 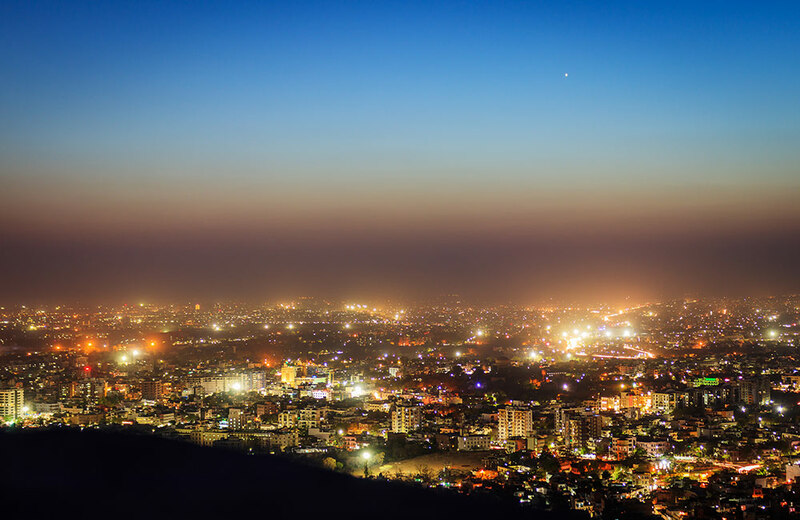 Moula Ali Hill is one of the best places to visit in Hyderabad in evening, both because of its serenity and scenic beauty. One visit here and you will be mesmerized by the panoramic view of the city. Don’t miss out on it, people, otherwise you’re going to regret it. For the party goers out there in Hyderabad, Hard Rock Café is like a second home. This place is on a whole new level when it comes to parties and entertainment. The food, the music, and of course, the drinks are top class and there is no match of the place in the entire city. 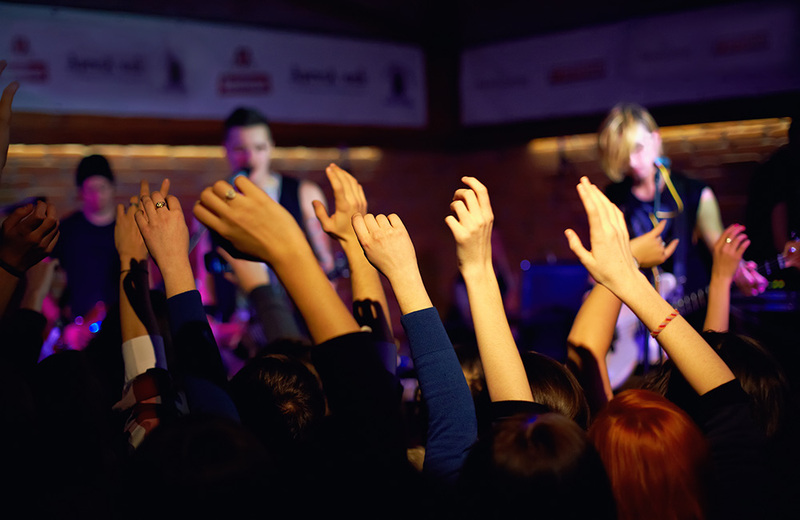 If you are lucky enough, you might even get to watch some great performances. With a lot of fun just waiting to be had, Hyderabad’s Hard Rock Café would definitely have to be on the top of the list of yours. 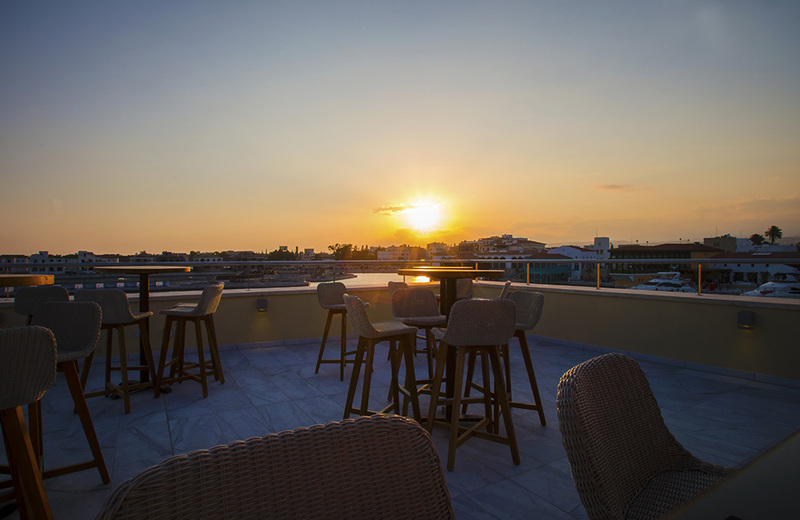 Hyderabad is known for its specialty restaurants, and the Altitude Lounge Bar is certainly one of those. Not only will you get to enjoy the great Continental cuisine and satisfy your gastronomical desires, but you will also get an amazing view of the beautiful Hussain Sagar Lake from the restaurant. The amazing vibe and soulful music at the lounge are the additional bonuses that you get. 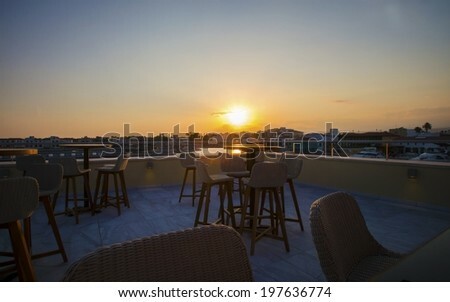 Do visit the place for a great meal and make sure that you stay long enough to witness the awesome transformation of the place from a mesmerizing lakeside restaurant into a blasting party place. It’s karaoke time, people!!! Don’t let the laid-back ambiance and the plush interiors of 10 Downing Street fool you in any way. This party place is one of the best locations where people hang out all the time. 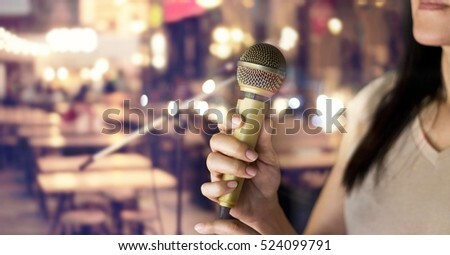 Come here with your friends and enjoy the amazing experience of karaoke. You can come to the place on a weekday after office hours and just enjoy the vibe. Feeling a little frisky? 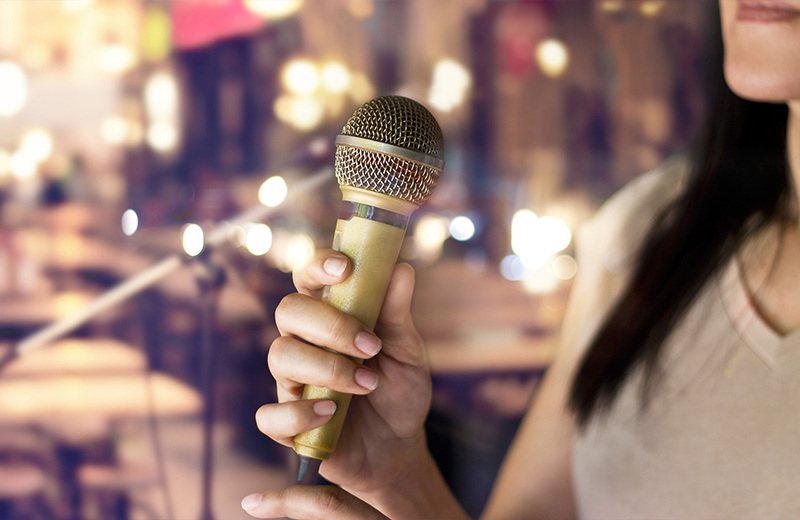 Why not let the loudspeakers blast out your anthem while you rock it out at the karaoke?! Have a great time with the buddies as you will get fantastic deals on meals and drinks. Don’t let the extra hours at your office wear you out as you can get the perfect retail therapy in Hyderabad. 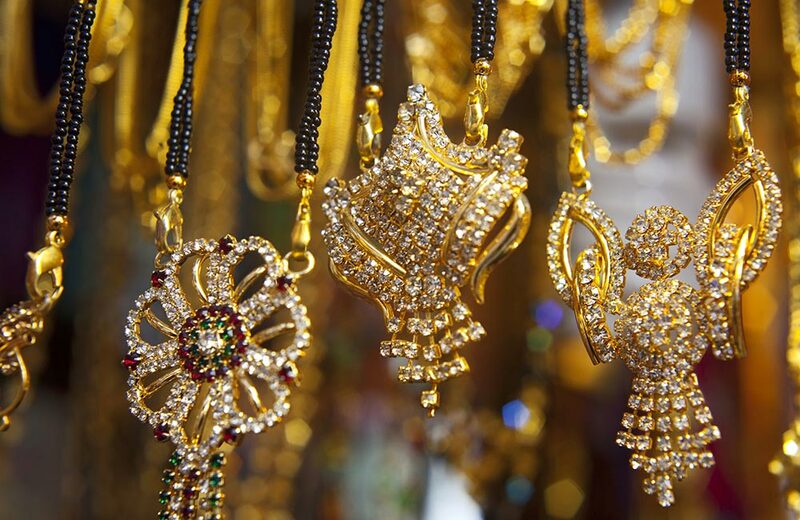 For the shopaholics out there, Begum Bazaar is nothing less than a paradise. 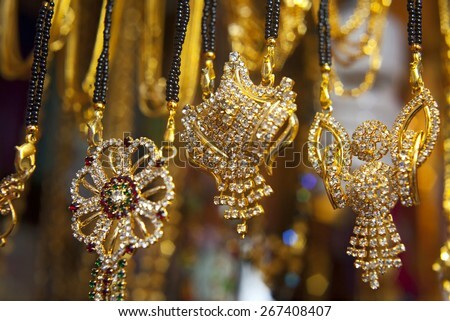 Heaving and crowded with shoppers from everywhere, it is one of the most visited markets in Hyderabad. Lit perfectly during the evening hours, it will give you an amazing and memorable shopping experience. You get everything from shoes and dresses to accessories and kitchenware here; just name the stuff and they have it. Make sure that you have the strength to bargain though. Need a way to kill time in the evening when you are in Hyderabad? Well, these are some of the places you can visit. So, head to any of these spots after sunset for an amazing time exploring and having fun.